Best deal on revolvers. Buy online and save with cheap, flat-rate shipping on every revolver. Read more about revolvers, from six shooters to small, concealed carry models, Nobody sells revolvers for less than GrabAGun. Revolvers are a category of pistol which uses a rotating cylinder which contains (generally, six) firing chambers. The shooter loads a revolver by putting a round in each chamber and closing the cylinder. Revolvers often are chosen by first-time firearm owners due to their simple loading and firing mechanisms. Recently a debate has arisen among some gun reviewers regarding the merits of the revolver in light of the vast developments to the semi-automatic handgun. Some have even gone so far as to question the revolver’s continued relevance given the many other handgun choices on the market. Well, we here at GrabAGun.com think that argument is baseless. While semi-autos hold more ammunition and are often easier to conceal, revolvers are arguably simpler to use and require less training than semi-autos. If someone is telling you that one is better than the other, it is often due to personal preference, more than to objective analysis. The truth is that guns are chosen due to their suitability for the shooter, and every shooter is different. Therefore, the “Revolvers vs. Semi-Autos” argument is, quite simply, unnecessary given the many options available to today’s firearm owner. And this fact is evident just by reviewing the many product options available on GrabAGun.com. A quick scroll through our inventory reveals a number of styles, manufacturers, and even colors. 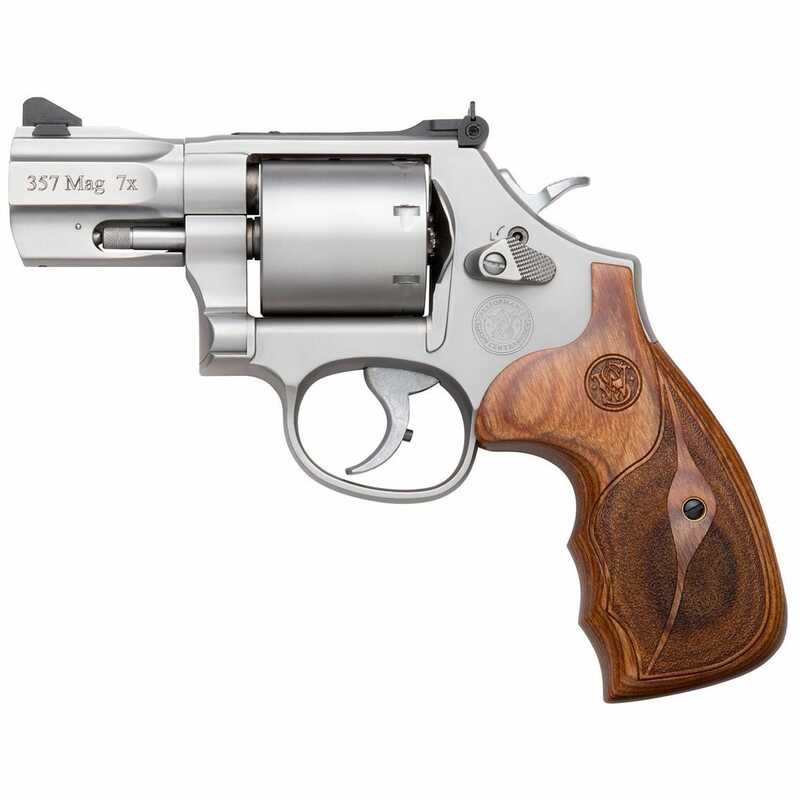 We are proud to offer thousands of handgun choices, including revolvers at the best prices online. Look to GrabAGun.com for all of your firearm needs. Recently a debate has arisen among some gun reviewers regarding the merits of the revolver in light of the vast developments to the semi-automatic handgun. Some have even gone so far as to question the revolver’s continued relevance given the many other handgun choices on the market. While semi-autos hold more ammunition and are often easier to conceal, revolvers are arguably simpler to use and require less training than semi-autos. If someone is telling you that one is better than the other, it is often due to personal preference, more than to objective analysis.